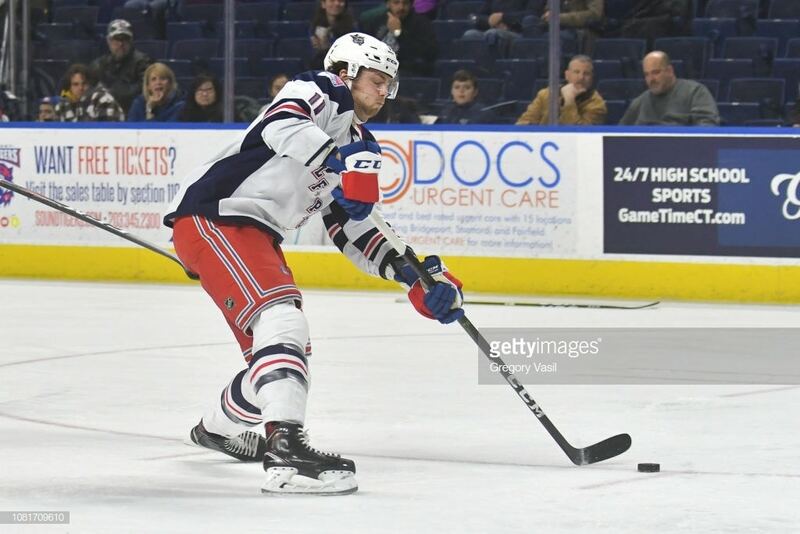 Allentown, PA, February 9, 2019 – The Hartford Wolf Pack snapped an 0-7-1-1 drought Saturday night at the PPL Center, with a 2-1 win over the Lehigh Valley Phantoms in the first of back-to-back games between the two teams in Allentown. 1st Period-1, Hartford, Holland 18 (Bigras, Andersson), 8:13 (PP). Penalties-O’Donnell Hfd (tripping), 2:41; Bunnaman Lv (holding), 6:44; Goulbourne Lv (tripping), 13:05. Good bounce back game after a tough outing the game before. Gropp showing some life after a dismal start of the season. … and nice to see Halverson finally have a good game at the AHL level. That Gropp/Fogarty/Gettinger line really clicks, the call ups really hurt Gropp. “We can’t believe is was on the board at 41, we had him ranked 6th overall in this draft”. Gropp has no chance of becoming a full time roster player on any team in the NHL. Gropp has had a real slow learning curve from draft year on. He’s putting together the concepts of going to the net and being strong enough to get/stay there now and has 1 more year on his ELC; the question is will he run out of runway before he becomes a group 6 UFA. The number of players that the Rangers let get to group 6 eligible is bad management of assets.